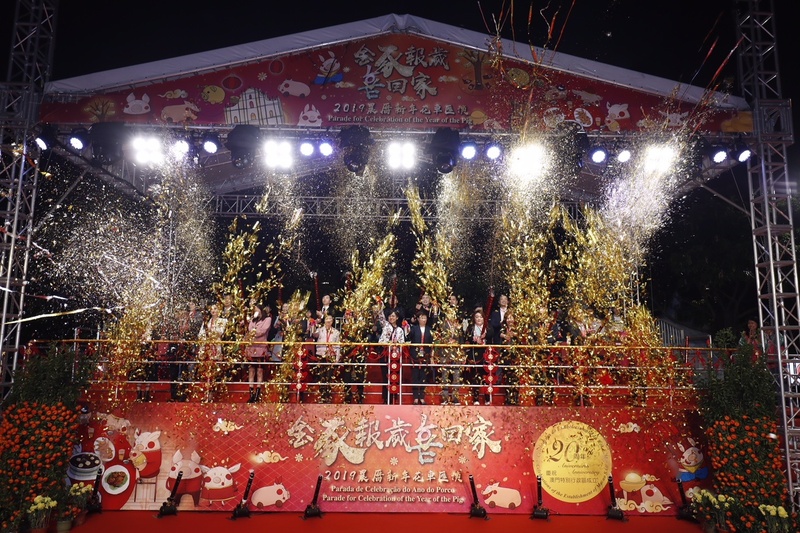 Organized by the Macao Government Tourism Office (MGTO), the “Celebrations of the 20th Anniversary of the Establishment of the Macao Special Administrative Region – Parade for Celebration of the Year of the Pig” (the “Parade”) enlivened the Northern District this evening (10 February) with 18 dazzling floats carrying blessings around the neighborhood. Residents and visitors swarmed to enjoy the Parade, filling the district with a vibrant atmosphere. 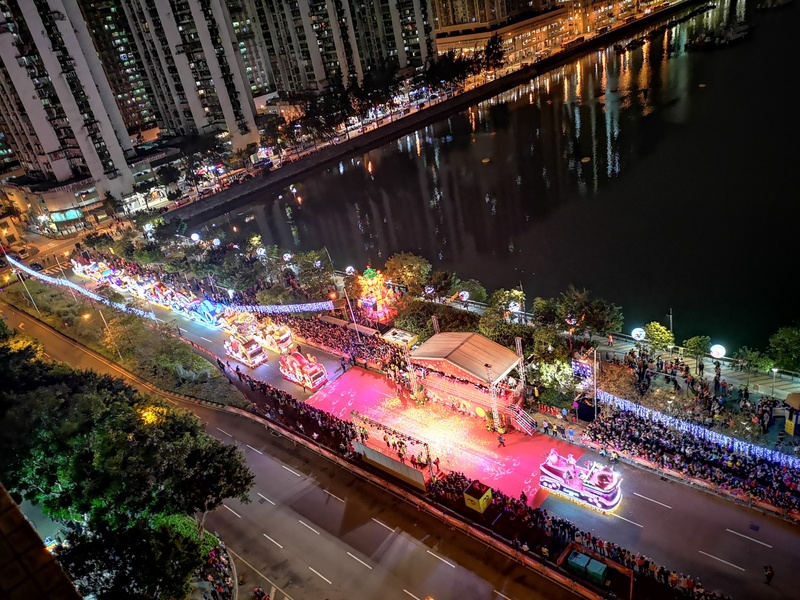 MGTO will forge ahead to uplift the impact of the event, draw a wider spectrum of visitations and augment the level of participation among residents. MGTO Director Maria Helena de Senna Fernandes, MGTO Deputy Directors Cheng Wai Tong and Ricky Hoi, Vice President of Cultural Affairs Bureau, Chan Kai Chon, Vice President of Sports Bureau, Lam Lin Kio, Head of Department of Cultural and Recreational Affairs and Civic Education of Municipal Affairs Bureau, Patsy Ko Pui San, as well as other guests officiated the kick-off ceremony for the Parade. The floats then set off from Rua Norte do Patane to reach Iao Hon Market Garden. Souvenirs were distributed by the Entourage Boy and Girl along the route while audiences waved and cheered the floats. 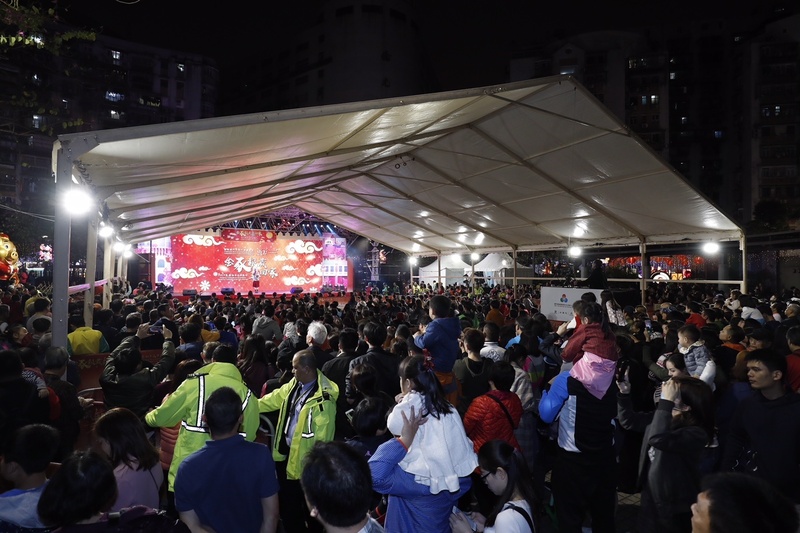 A finale cultural show was staged at Iao Hon Market Garden with a series of fascinating performances delivered by Hong Kong and Macao artists, singers and performance groups, winning fervent applause from spectators. 18 splendid floats were presented by the following entities: Macao Government Tourism Office, Municipal Affairs Bureau, Cultural Affairs Bureau, Sports Bureau, Asia Tourism Exchange Center, Suncity Group, David Group, MGM, Sociedade de Jogos de Macao, S.A., Melco Resorts & Entertainment Limited, Wynn Macau, Limited, Galaxy Entertainment Group, Sands Resorts Macao, Tak Chun Group, UO Group, Parry Group, Meg-Star Group and Multinational (Holdings) Group. The number of floats reached a new record this year. 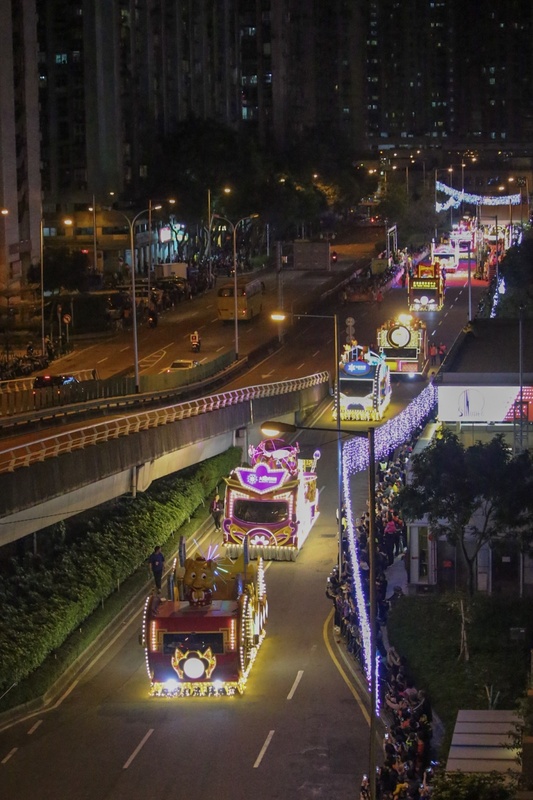 Following the Parade, residents and visitors can enjoy the sight of splendid floats for free at Tap Seac Square. 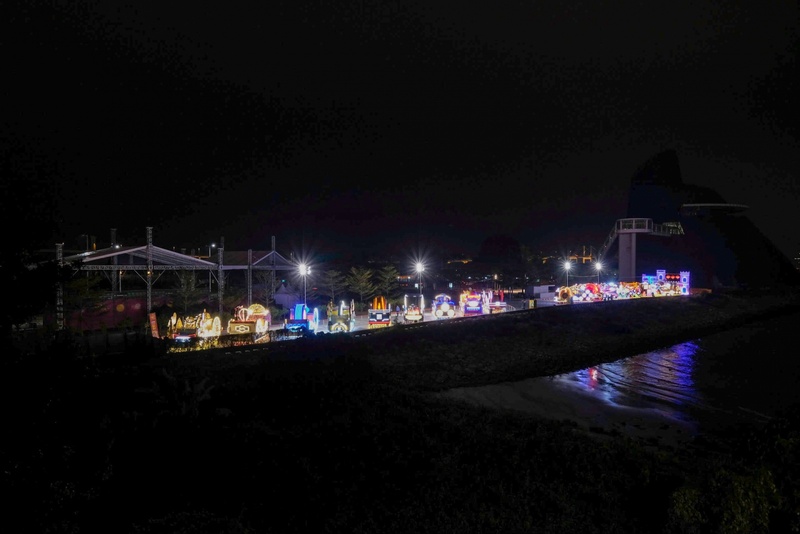 The exhibition lasts from 10 p.m. on 10 February until 6 p.m. on 17 February, with the floats illuminated from 6 p.m. to 10 p.m daily. 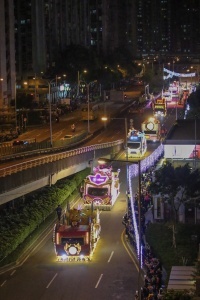 Since the inaugural edition in 2013, the Parade for Celebration of Chinese New Year has gradually developed into one of Macao’s signature festive events. 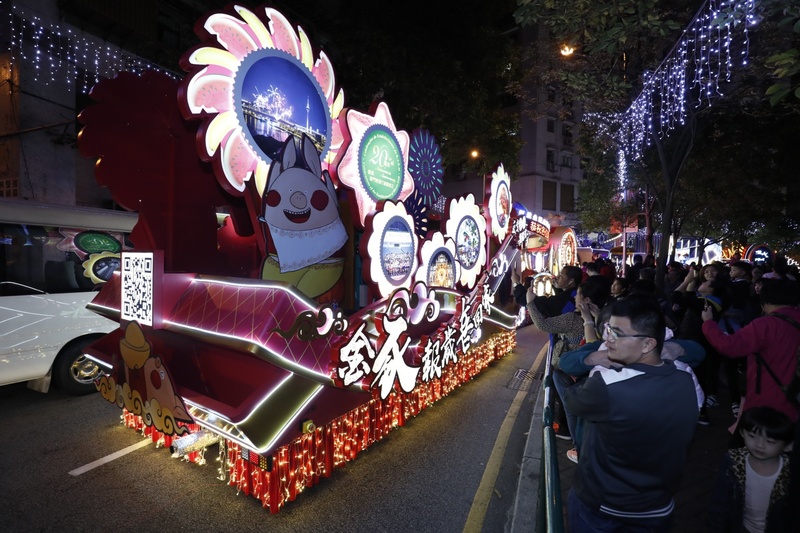 For the first time, MGTO launched the “Favourite Parade Float Voting” this year to enhance audiences’ participation during the float parade. 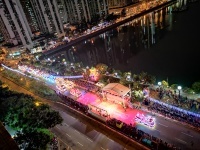 MGTO will keep enhancing both hardware and software facilities of the Parade, and deepening the level of enjoyment among spectators so that the Parade will gain wider popularity as a more spectacular event each year. According to the effectiveness evaluation conducted by a research institution on the Parade last year, the level of awareness and overall level of satisfaction both reached an excellent level. With the heartening result, MGTO will continue to augment the effectiveness of the event in order to draw visitations from a wider diversity of source markets and enhance the level of residents’ participation.